CPR Produktions und Vertriebs-GmbH is the biggest producer of condoms in Europe, doing business in more than 50 markets. Already in 2012, the company started using fair trade rubber for the production of their condoms, and since contraceptives aren’t excluded from the increasing demand for fair trade products, sales of these condoms have gone up by 300% since then. In 2015, CPR also introduced a line of vegan condoms, catering to a market that is still very much a niche, but as Marco Gehlken tells us, demand for that type of product is also on the rise. 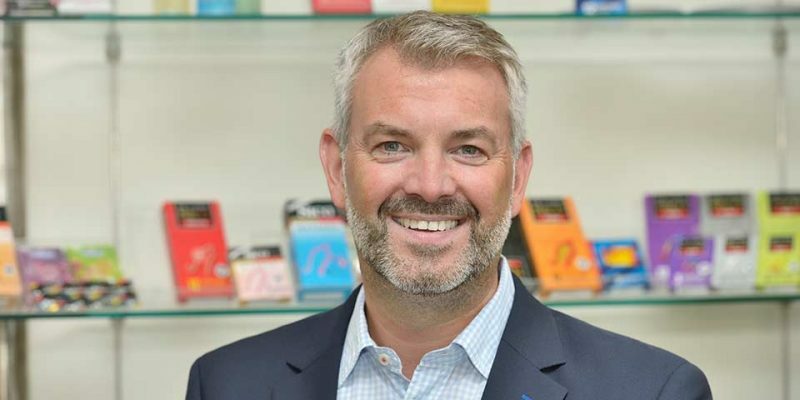 In our interview, the head of marketing and distribution at condom producer CPR talks about sustainability and fair trade and the reasons why people also care about these things when it comes to contraception. CPR GmbH has been using fairly traded rubber since 2012. What led you to make that decision? Marco Gehlken: The decision was made because we believe in sustainability. Rubber is our single-most important raw material, however, production is often tainted by ecological and social problems. Many plantation workers don’t make enough money to sustain their family, and they are subjected to terrible working conditions. Being a producer, we are in a position where we can help improve their situation, and that is something that any producer should do. Of course, we also hope that more and more consumers are ready to invest in sustainable products. CPR GmbH is a member of Fair Rubber e.V. What exactly is the goal of this organisation? The goal of Fair Rubber e.V. is to make sure that everyone involved in the rubber supply chain also gets to benefit from the profits. In order to achieve this goal, Fair Rubber e.V. unites many different companies who use fairly and sustainably produced rubber, buying it from fair and reliable supply partners. Apart from a membership fee, the member companies also pay a fair trade premium for each kilogramme of rubber they order. These premiums go directly to the supply partner who can then use this money to support the workers and improve the work process. Through our programme, they have already supplied plantation workers with better health services, electricity, and clean drinking water – not to mention their investment in schools and pension provisions. There is a catalogue of criteria establishing when rubber can be rated as fair and sustainable, also detailing what the fair trade premiums may be used for. By the way, you can easily spot fair trade rubber products in the store – just look for the Fair Rubber logo. So which criteria does your company have to meet to put that Fair Trade seal on your products? Fair Rubber e.V. is working with members who have commercial interests, and with members who support the fair trade concept without any financial self-interest. What these two types of member companies have in common is their desire to help disadvantaged rubber producers improve their living and working conditions. So the main criteria you have to meet as a company is that are ready to pay a fair price for the materials you use. Many consumers think about fair trade when they buy certain products – but also when they buy condoms? I don’t think the product group really makes a difference. It is a general mindset, an awareness, and fortunately, more and more people see how important fair trade is. Are there country-specific differences regarding the general stance on fair trade products? For instance, are German consumers more willing to buy fair trade products than, say, their neighbours in France? We have no concrete figures on this, so it is hard to make general statements. However, I have the impression that the differences between countries in central Europe are more or less negligible. People are aware of the advantages of fair trade, and there is a clear trend in these markets. It is ‘chic’ to buy fair trade products – but as long as people care about it, I am perfectly fine with chic! In 2015, you also added vegan condoms to the CPR range, which begs the question: Why and how are animal products used in the production regular condoms? Condoms are made from latex milk, but most producers also add casein, which is a lactoprotein. For our vegan condoms, we have found other, organic alternatives. And the condoms are just as good and reliable as any others in our range. Is the production of vegan condoms more work-intensive than the production of regular condoms? Demand in vegan products is constantly growing. Has this development also reached the adult market? Absolutely – we see a clear upward tendency. However, most of these products are also fair trade products, so it is hard to differentiate. I am sure that many people who buy our vegan condoms are not actually vegan, but they are conscious shoppers who are interested in a fair and sustainable lifestyle. How much potential do you see in the market for vegan condoms, not just now, but for the next years as well? Hard to say. Things like that always hinge on general developments within society. But it won’t go away, if that’s what you mean. It will remain an important element of this product category. A general complaint about vegan and fair trade products is that they are much more expensive than regular products. How do you respond to such criticisms? I can’t really agree with that argument. There are more than enough fair and vegan products that cost less than the leading brands in the market. So pursuing a conscious lifestyle does not really have to mean spending more money than you otherwise would. Also, there is usually a price advantage if you buy local products. If you buy products that have been shipped halfway around the planet, these shipping costs are usually also reflected in the price. All CPR products are produced in Germany, in the heart of Europe, so we can offer our customers products that are not just fair and vegan but also fairly priced. Who buys fair trade condoms and/or vegan condoms? People who are critical of consumerism? The LOHAS (lifestyles of health and sustainability) crowd? Affluent consumers who focus on sustainability and health? Anybody who wants to live and act more consciously, anybody who wants to contribute to making this a better world. I hope that doesn’t sound too histrionic, but it’s hard to talk about this topic without slipping into that kind of wording. To get back to your question, I always have a hard time reducing the audience for our condoms to a certain group of consumers – contraception is not a luxury. It’s for everybody. Do you have some advice for the retailers in the adult market on how they can benefit from the trend towards fair trade and sustainability? The trade members need to offer an appealing range of products so interesting alternatives become available to their customers. In our MEIN KONDOM line, we have a number of products and variants, including an assortment mix. That should be perfect for at least 80 per cent of all potential condom buyers. Also, our products are made in Germany, they have a modern and fashionable packaging design, and they offer top quality – making them a great choice for anybody, also people who don’t focus on fair trade, but just want a quality condom.